Why so angry, mer-man? Your skin looks great. 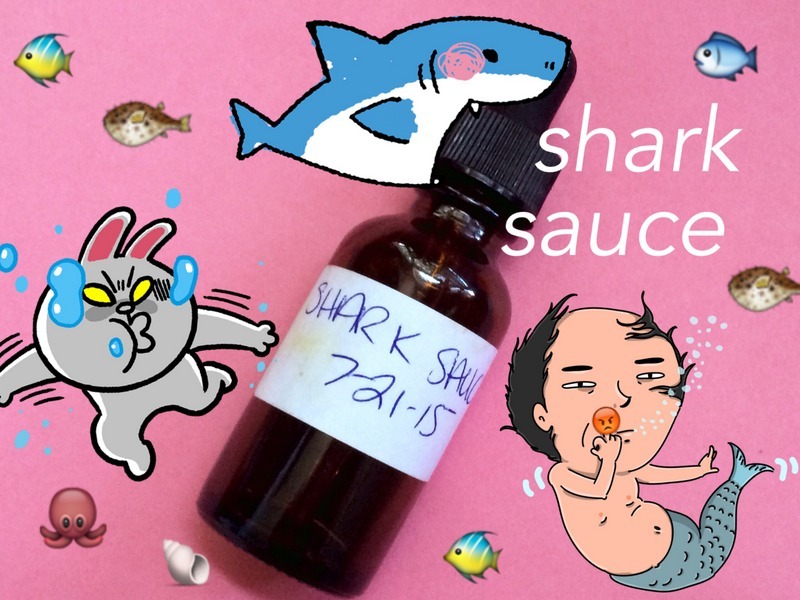 A month ago, Holy Snails (Chel) thoughtfully sent me a bottle of her DIY concoction called Shark Sauce (link is to version 2.0, the one that I have). Update: You can buy the latest version directly from the Holy Snails store. 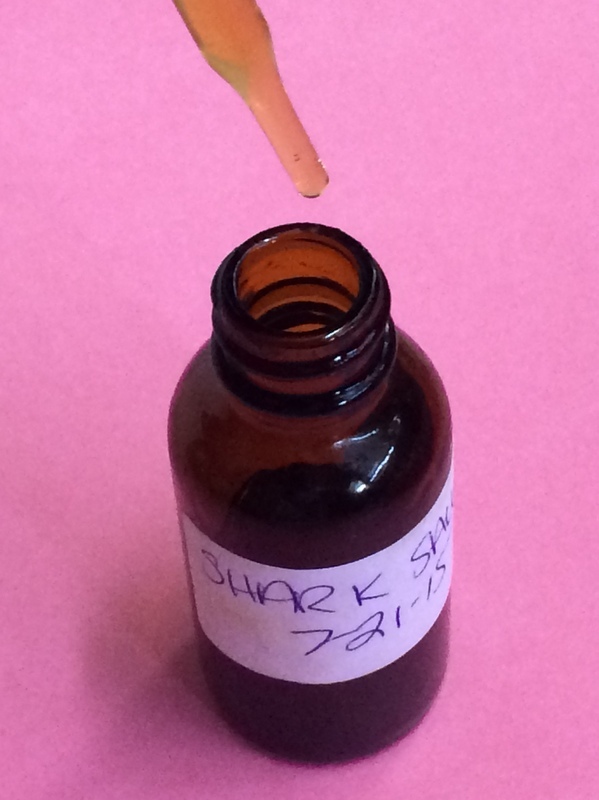 Chock full of functional and purposefully selected and proportioned ingredients, Shark Sauce can be thought of as an ampoule or serum with brightening, repairing, and hydrating properties. The ingredients that caught my eye were: 5% niacinamide, 3% n-acetyl glucosamine, and 5% licorice root extract. Where do the sharks come in? Thankfully, no sharks were harmed in the making, but there is some sea kelp bioferment (15%) and the recipe was spurred by /u/Sharkus_Reincarnus (aka Fifty Shades of Snail; link is about the first version of Shark Sauce). I’d been lusting over Chel’s skin this combo of ingredients ever since she posted photos of her dramatic reduction in hyperpigmentation after just 1 week of use–including marks that had been there for years. I completely relate to having acne marks that last longer than apartment leases and, heck, even my law school career. So while I crossed my fingers about seeing similar results, I kept my expectations in check because I’ve been disappointed before (see, e.g., every vitamin C serum ever, including OST C20 and Paula’s Choice C15 Booster and 25% Spot Treatment). Here’s what I was facing when I began Shark Sauce. Getting on PocketDerm Acne had eliminated and flattened large blemishes on my cheek and jaw, but I was left with some, ahem, mementos. As soon as I received Shark Sauce, I made it a regular part of my routine, day and night. I applied it to my forehead, cheeks, and chin mainly (2-3 drops per area), basically spreading it all over my face except for my nose. Shark Sauce is runny and spreads easily, yet is thicker than, say, an essence or toner. It’s a translucent light brown and leaves a sticky feeling. It has a faint smell that is unnoticeable once applied. Immediately after application, skin feels hydrated, smooth, and plump. It’s not evident in photos, but I feel as if my skin is actually plumper and thicker. After a 3 weeks of diligent usage, I actually noticed a difference! I thought certain acne marks looked lighter and that they didn’t show through makeup as much. Initially, I doubted myself. Was it a placebo effect? My stubborn marks couldn’t really be fading?! Well, after comparing some before and after pics, I confirmed that some marks had in fact faded or shrunk! The one spot marked with an *asterisk shrunk in surface area but seems darker in comparison to before. Other than that spot, the other spots seem to have improved all around. October 2015 Update: The one spot that darkened actually had another tiny bump forming there (booooo), so I guess it wasn’t really in the fading stage yet. I am so impressed. The fact that I noticed a difference in 3 weeks is miraculous (or science, take your pick ¯\_(ツ)_/¯). 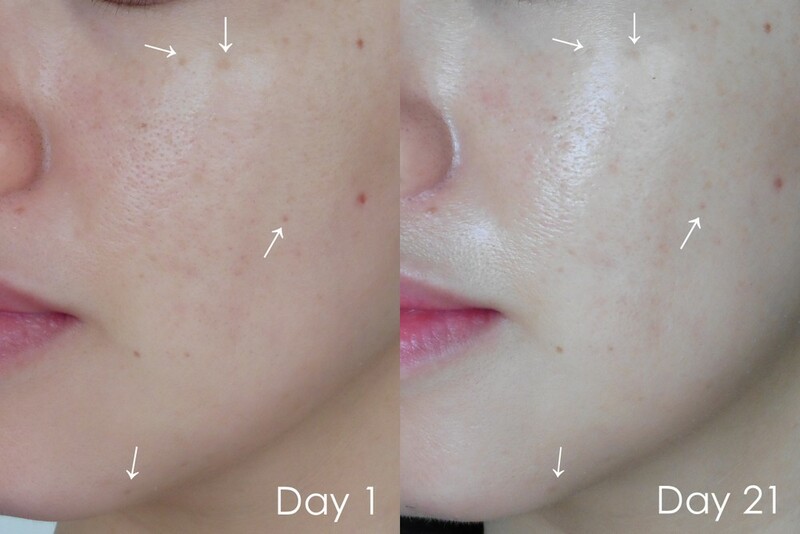 The spots that faded are from relatively recent breakouts in March through May (so about 3 to 5 months old). Things to note: There were no changes at the 1-week mark (based on before & after photos). The marks are still dark enough to show through medium-coverage cushion foundation and mineral powder. Also, much older acne marks and the brown sunspots on the top of my cheekbones haven’t faded. In addition, the passage of time and my simultaneous use of other brightening products could be responsible or could have partially contributed to the results. I don’t have a real way to know. 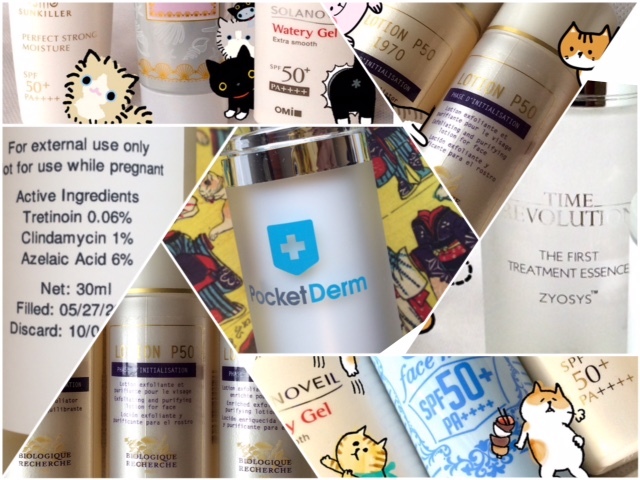 PocketDerm Acne: My prescription contains two ingredients that can potentially help with acne marks: tretinoin and azelaic acid. I’ve been using this particular prescription since the beginning of June. While using this but before Shark Sauce, I noticed that this was extremely effective in preventing and shortening the lifespan of acne but not so much in improving the acne marks left behind. There was some fading (see the first face photo in this post), but based on personal experience, that was consistent with just the passage of time–and the fading inevitably plateaus. 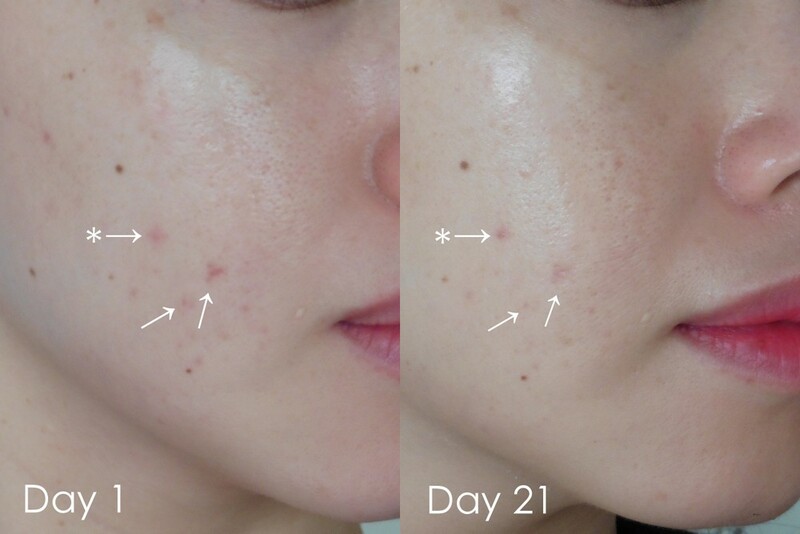 In addition, I’ve been using tretinoin for 9 months continuously (before PocketDerm Acne, I was on PocketDerm Anti-Aging) and had never noticed a difference in acne marks (or sun spots) before. Biologique Recherche Lotion P50: I’ve been using the “new formula” in the P50 and P50V versions for about 7 weeks, often 2x a day. Almost 4 of those weeks have overlapped with Shark Sauce. 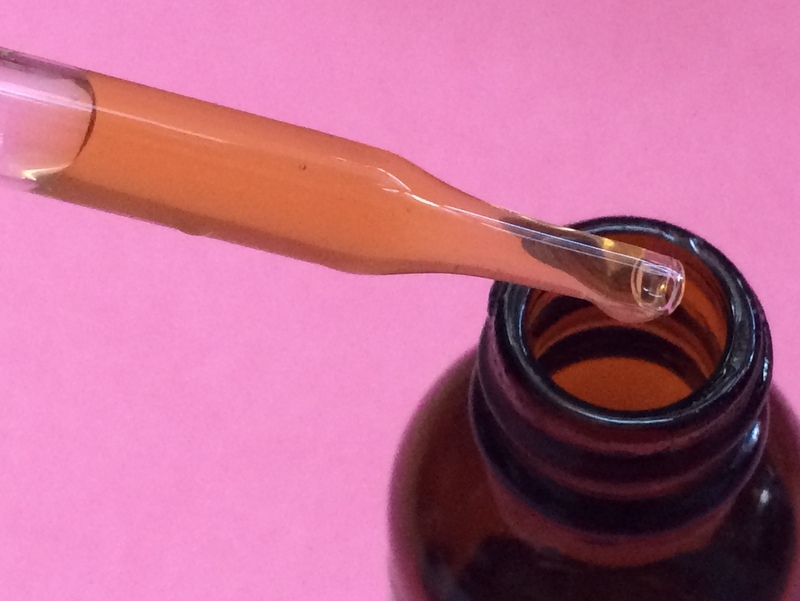 This relatively heavy-duty chemical exfoliation could conceivably enhance the penetration and effectiveness of Shark Sauce, and for a short time, I thought that it was fading one acne mark. (Other bloggers have reported fading hyperpigmentation.) On the other hand, prior experiences with chemical exfoliation–in formulas all marketed as improving hyperpigmentation–failed to produce significant results, so I’m hesitant to attribute any fading to the “renewal” of my skin surface. Niacinamide anything: Maybe Chel is right that the n-acetyl glucosamine (NAG) is the gamechanger. I used 4% niacinamide in my PocketDerm Anti-Aging prescription for 6 months with no noticeable difference in old acne marks. I’ve also used various products with niacinamide to no avail (as far as acne marks go). E.g., Missha FTE. To be sure, Shark Sauce has a higher percentage of niacinamide (5%) than anything else I’d used before and it has ingredients that I haven’t used regularly or in high percentages before (such as 5% licorice root extract), so niacinamide or something else could be responsible. But I can say that prior niacinamide products were unimpressive on the fading front, yet Shark Sauce managed to produce visible results. PA++++ sunscreen: I’ve been using Japanese PA++++ sunscreens daily (applied in several layers, after moisturizer and before makeup) since last winter. That’s the maximum rating for protection against the UVA rays that cause pigment darkening. Although my skin tone overall has been fairer, I haven’t noticed any lightening of acne marks or sunspots due to this change in my routine. 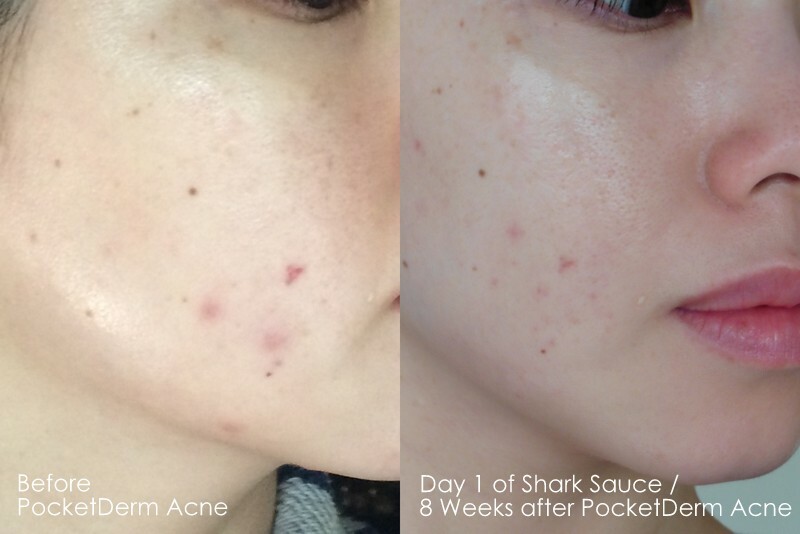 To close, I wholeheartedly recommend giving Shark Sauce a try if you’re struggling with acne marks. On her website, Chel has posted two recipe variations (and a stripped-down version called Holy Snail Water) and lots of helpful tips and photos. Just check out her posts tagged “shark sauce.” Please don’t bombard her with requests to buy as it’s not for sale. Edit: Chel operates a co-op through which you can obtain Shark Sauce. Follow her site to learn about the latest in Shark Sauce developments. Edit #2 (Nov. 23, 2015): Chel has officially opened a store selling Shark Sauce and other handcrafted skincare goodies. Go to holysnailsshop.com to see the current offerings. Sold-out items will be restocked regularly and more quickly now that this has become Chel’s full-time venture. I’ll keep using Shark Sauce faithfully and hope to see continued progress. Even if I don’t see any more progress, I’m happy to have seen any fading at all. And please, Chel, don’t cut me off. I’m too lazy to DIY! Your skin looks amazing! Your progress is amazing! I’m equal parts happy for and jealous of you! Hehe, thanks 😁 I was pleasantly surprised when I saw the before and after side by side. Dude, amazing results! I concur with the rapid effects that I can pretty confidently attribute to the product rather than other brightening steps in my regimen–for me it was sunspots that I’ve had since like 2002, the really large, deep, dark, stubborn old ones that neither vitamin C nor AHA nor even multitudes of niacinamide-containing products could budge. I also noticed that my skin barrier got noticeably better–it seems thicker, but in a good way, if that makes sense? And IMO the barrier is a huge factor in getting “the glow,” since light interacts with it differently than it does with stripped skin without that hydrated and lipid-rich layer. Love this stuff so much! 2002?! That’s older than me!! Har har! I’m taking a break from acid toners and peels for a few weeks to see how my skin barrier does on this. I can definitely see the glow in your skin and I want the same! THAT PROGRESS *angels singing* I’m so happy this worked for you! I feel like we have similar skin, in that both the OST and PC vit C have had no effect on my PIH marks whatsoever. Alas! Mine are slowly fading now, but it’s paaaaainfully slow. Excuse me as I go make a sandwich from all the jelly I’m feeling from your progress! I’m happy that I found something that works! Jelly of all the people who keep getting results with vitamin C and other things. I actually just bought TWO more vitamin C products because…why…I don’t know. One of them is pure ascorbic acid (same ingredient in all the OST and Paula’s Choice products), yet I still bought it. Haha, if it were a real Asian product, I would not be surprised at real shark in the ingredients. 😱😰 If you are ever brave enough to DIY, you can leave out the licorice.